Salvage World Auctions a division of Insurance Auctions Inc.
• A Large Selection of Vehicles Available Worldwide. 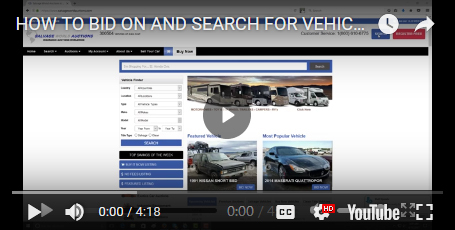 Each week, we list more than 225,000 new car vehicle listings directly from Auto Auctions and Salvage Pools around the country. We are NOT a broker for one auction house. Our data and technology happens to be the pioneer in the Salvage Auction Industry. Our administrators have been in the industry for a few years, who understand the business and have relationships with auction houses, salvage pools and insurance companies nationwide. Many auction houses are now trying to gear towards reaching out to the general public where prices on broker sites have been inflated by amateur bidders. Don't be fooled by salvage dealers whom were unable to repair vehicles properly or simply partially repaired in order for the vehicles to be presented better through the online auction, in turn making a profit. Our establishment protects its customers and only provides you with True Quality Insurance Company vehicles from State Farm Insurance, Geico Insurance, Allstate Insurance and countless other insurance company's nationwide. Our site represents 700+ car auction locations in the United States and abroad. Our car finder enables you to sort through our massive inventory of used cars to quickly locate your vehicle of choice. Please keep updated for our new version of salvage world auctions coming soon. We have user friendly mobile apps on many of our other online venues. We have 225,000 plus vehicles at any given time throughout the day. Our data comes in three times a day and we strongly urge our customers to place bids on multiple vehicles to increase your chances of winning. Our inventory is unlimited, where our customers best interests are important to our establishment. Salvage Vehicles are represented in an AS IS condition. Contact our teams who are here to assist you 24/7 days a week. • Used cars at significantly reduced auto prices Our site enables consumers to participate in insurance auto auctions and to purchase vehicles from various insurance companies, banks, leasing companies, wholesalers, fleets and car dealers at prices substantially below retail. We used licensed and Bonded Brokers. No License is required by our customers to purchase these vehicles. We possess all the licenses needed nationwide to place bids with insurance companies in multiple states where specific licenses are needed. • No dealer license required to get great car deals Because the automotive industry is heavily regulated to protect the wholesale marketplace for car dealers, only licensed car dealers are qualified to attend wholesale auto auctions. Our site extends that capability beyond licensed car dealers and licensed vehicle recyclers to all consumers. That is how we provide our members with the best car deals. • Transportation services To meet the needs of our members globally, we recommend our affiliated and competitive transportation services providers - domestically, internationally and to most major seaports around the world ; you will get an INSTANT and GUARANTEED quote!